By Brett Walton is a Seattle-based reporter for Circle of Blue. He writes our Federal Water Tap, a weekly breakdown of U.S. policy. Interests: Southwest, Pacific Northwest, Pricing, Infrastructure. Technicians load NASA’s Landsat satellite at a processing facility at Vandenberg Air Force Base in California. On Monday, the eighth satellite in the Landsat series will be launched, to continue the space agency’s program of monitoring terrestrial water, food, and forests. Two years ago NASA retired its iconic workhorse, the space shuttle. 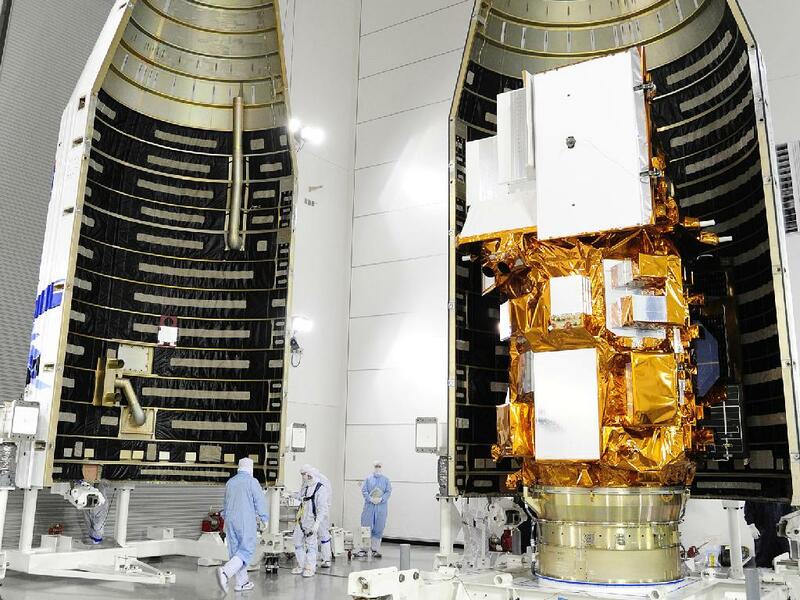 The agency’s scientific mission, however, did not expire, and the agency marks a milestone on Monday with the launch of the eighth version of the Landsat satellite, an essential tool for monitoring the nation’s water resources. Lifted into orbit by a Saturn V rocket, the satellite will carry two instruments. One, the Operational Land Imager, will track changes in water quality in lakes. The other instrument measures thermal energy. It will give water managers in the western United States a better sense of how much water irrigated crops are using, said Tony Willardson, the executive director of the Western States Water Council, a body appointed by the governors of the 18 western states. Data from the mission, a collaboration between NASA and the U.S. Geological Survey (USGS), will be freely available to the public. NASA is also a partner in the Aquarius mission, which uses satellite measurements of salt content in the oceans to understand better the global water cycle.